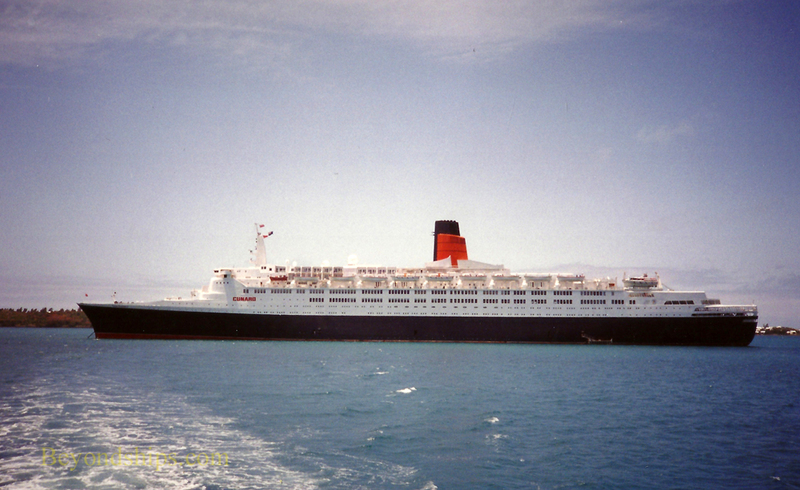 Queen Elizabeth 2 was designed with transatlantic crossings in mind. However, her designers also foresaw that she would spend part of her time cruising. 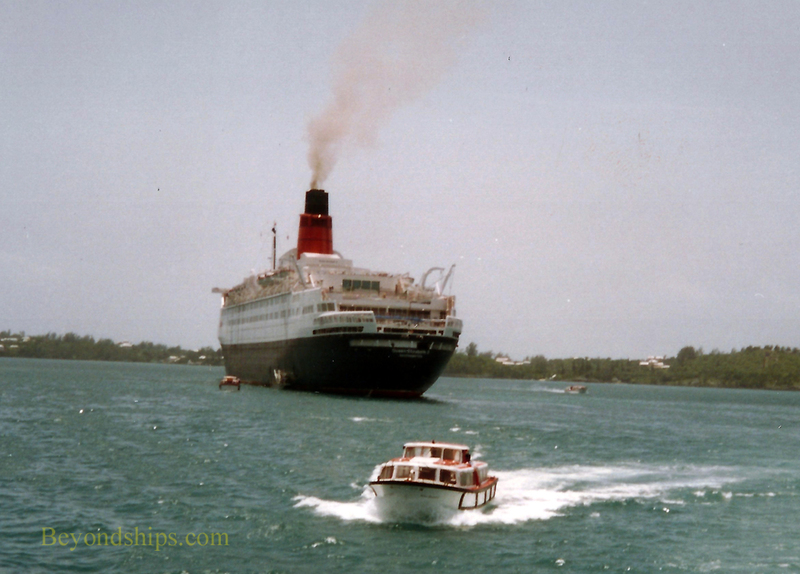 As it came to pass, interspersed with QE2's crossings each year were a number of cruises. 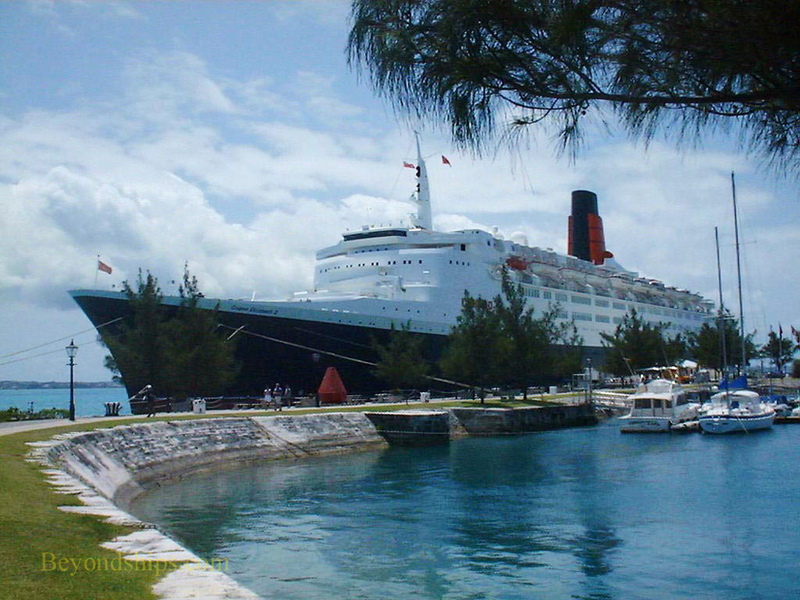 One of QE2's more popular cruise destinations was Bermuda. These cruises would begin and end in New York. Usually, Bermuda would be the only port of call on the itinerary but sometimes an additional port would be added such as Newport News, Virginia or Newport, Rhode Island. 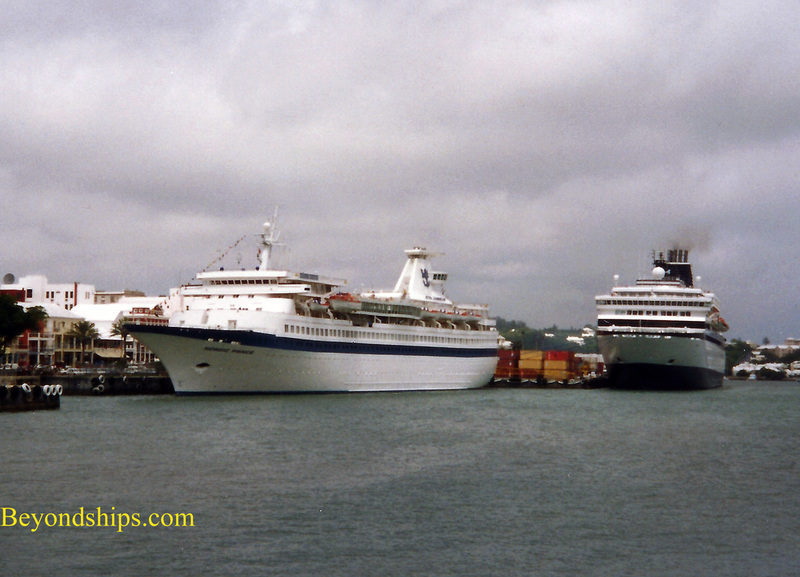 Many of the Bermuda cruises were five day cruises that included an overnight stay in Bermuda. However, some were four day cruises in which the liner arrived and left Bermuda on the same day. 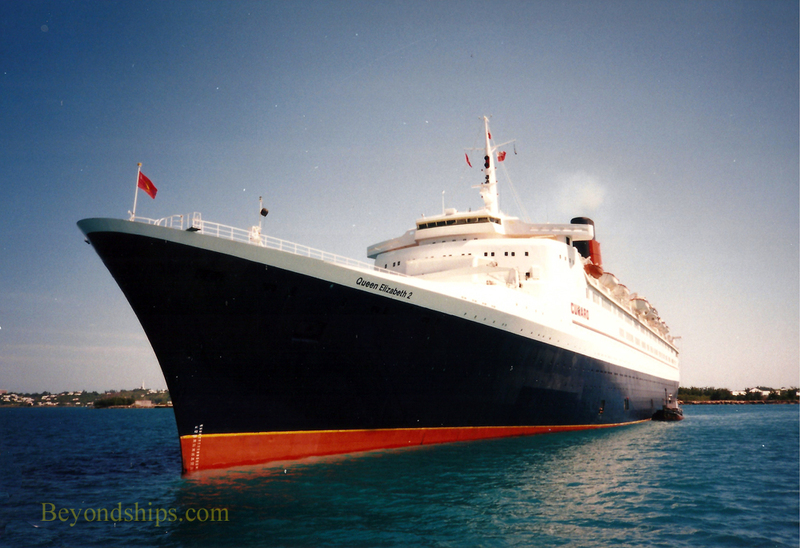 The distance between New York and Bermuda did not require QE2 to use her great speed. Instead, the ship would sail slowly both going to and returning from the island. This set an overall restful tone for the cruises. Too large to dock in St. George, QE2 had to follow the channel around the north side of the island to its western end. While most cruise ships could dock in Hamilton along Front Street, QE2 was too large and so had to anchor in the Great Sound. As a result, passengers had to be tendered ashore. Above: Nordic Prince and Celebrity Cruises' Horizon in Hamilton. Right: QE2 in the Great Sound. It is not unusual to see ships having lifeboat drills during a day in port. 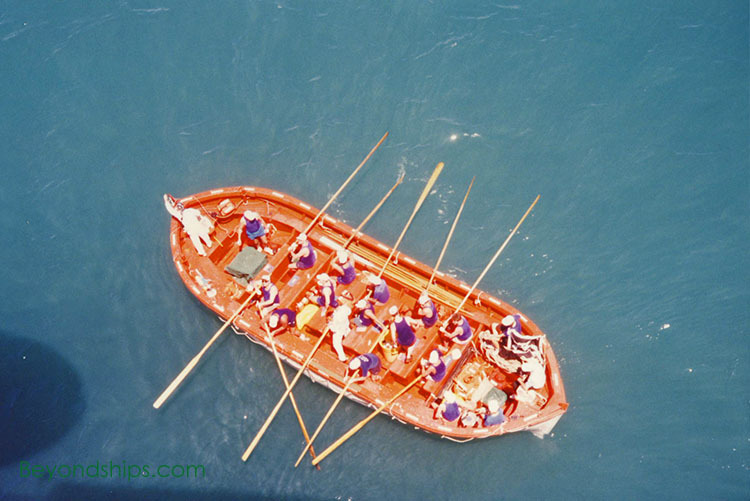 However, during one afternoon in the Great Sound, QE2 went beyond the norm and had the Great Lifeboat Race in which the officers competed against the crew rowing two of the older boats (right). It was not quite Oxford vs. Cambridge but it was a memorable sight.